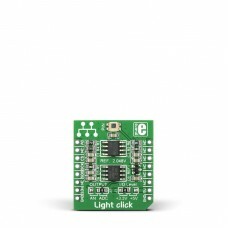 Light click is the add-on board with PD15-22CTR8 PIN photodiode, providing an effective and easy way to measure ambient light intensity. 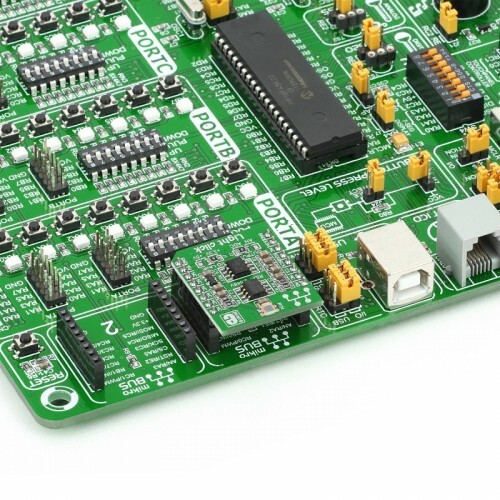 It also features MAX6106 voltage reference and MCP3201 ADC with SPI interface. 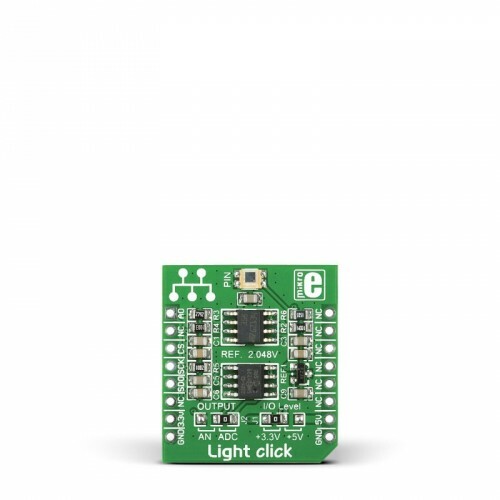 Measured ambient light intensity is sent as an analog or digital signal to the main board microcontroller. 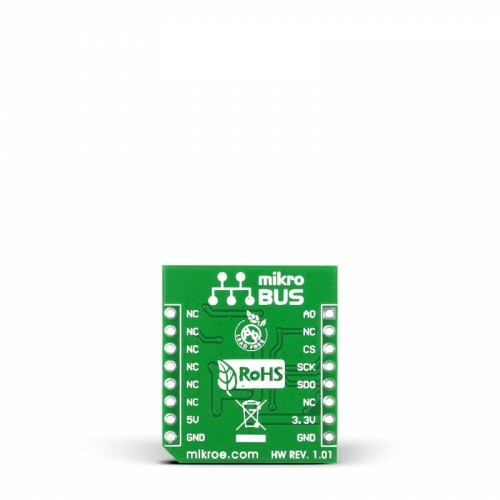 Light Click™ communicates through mikroBUS™ SPI (MISO, SCK, CS) and AN lines. PD15-22C-TR8 is a high photosensitive light sensor with fast response time. 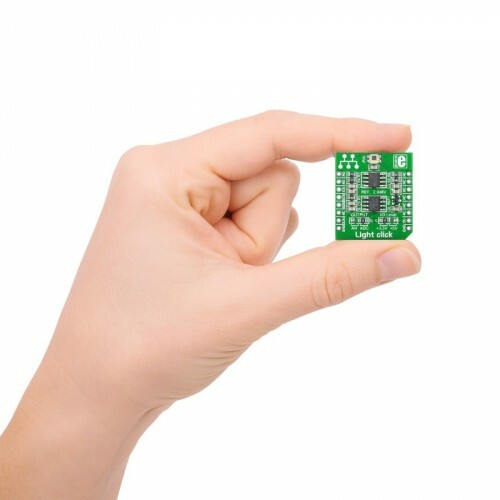 Provided SMD jumper allow the user to select whether the board will be powered with 3.3V or 5V power supply.